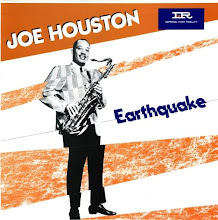 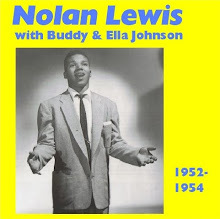 Recorded on November 25th 1954, Culver City. 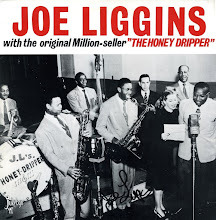 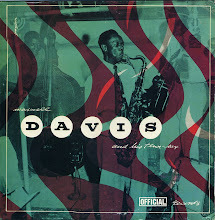 Personnel: Etta James, Abbye Mitchell, Jean Mitchell (The Peaches), Richard Berry (vocals); Don Johnson (trumpet); Maxwell Davis (tenor sax); Big Jim Wynn (baritone sax); Devonia Williams (piano); Chuck Norris (guitar); Chuck Hamilton (bass); Leard Bell (drums); Johnny Otis (vibraphone). Listen to "Hold Me, Squeeze Me"
With thanks to El Enmascarado for this 78 rpm disc which marked the recording debut of Etta James. 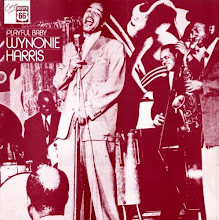 In 1954 the 15 year old Jamesetta Hawkins formed a female vocal trio (originally called The Creolettes) with two older sisters - Abbye (short for Abyssinia) and Jean Mitchell. 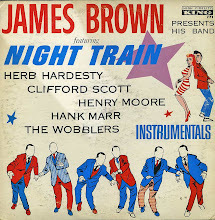 The Mitchells in particular were big fans of The Midnighters who had a number one R&B hit that year with "Work With Me Annie", an irresistible piece of double entendre dancefloor stomp composed by lead singer Hank Ballard. 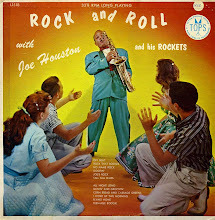 The Peaches wrote an answer song, "Roll With Me Henry" which they pitched to The Midnighters who weren't too enthusiastic. 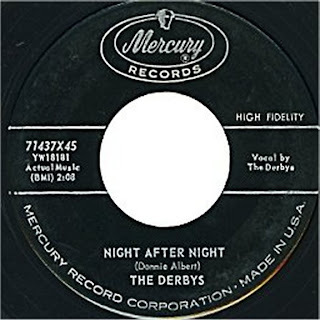 Abbye arranged a meeting with Johnny Otis who was sufficiently impressed by the group and their song to drive them out to the Modern studios at Culver City and a recording session with his band plus Maxwell Davis and Richard Berry. 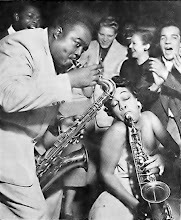 The Otis band remained uncredited on the record as he was under contract to Peacock Records at the time. 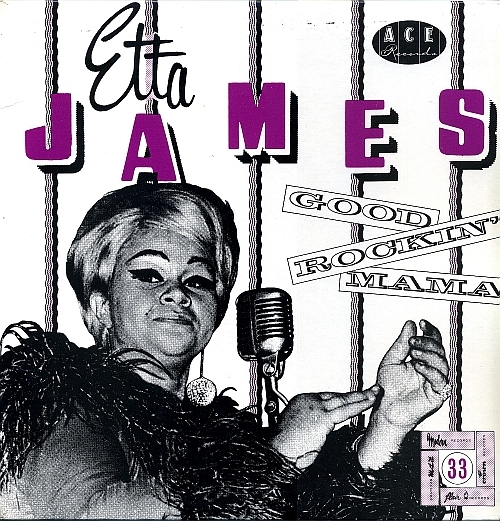 Richard Berry contributed new introductory lines and a vocal which turned the opening and closing verses into a call and response duet with Etta. 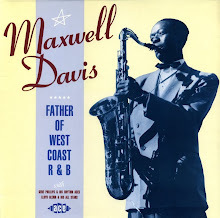 Maxwell Davis took a customarily classy tenor sax break, and in the background The Peaches wailed and the Otis outfit swung along merrily which all made for one classy piece of rhythm 'n' blues. 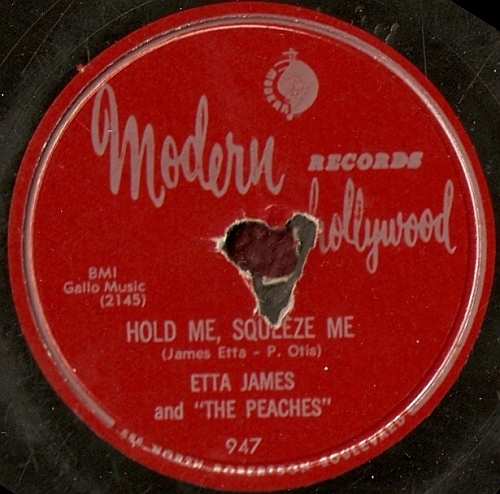 A less suggestive title "The Wallflower" was chosen for the disc which climbed to the number one R&B spot in early 1955. 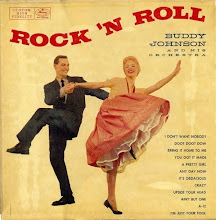 The pop chart action was grabbed by a cover version (entitled "Dance With Me Henry") by Georgia Gibbs which spent three weeks at the top of the Billboard pop chart in the spring of 1955. 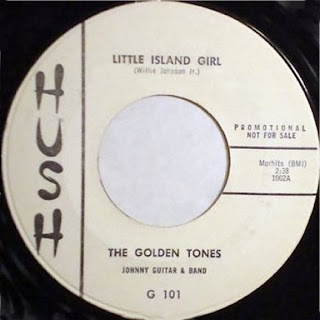 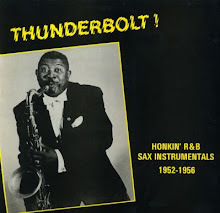 Thanks once more to El Enmascarado for the opportunity to focus on this piece of R&B and rock 'n' roll history, particularly as Etta James and Johnny Otis have now sadly left us. 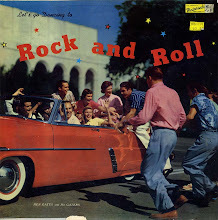 Source: "Let The Good Times Rock! 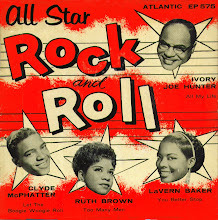 A fan's notes on post-war American roots music" by Bill Millar, Music Mentor Books, York, England, 2004. 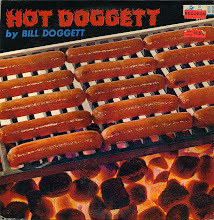 Another Boogiewoody recommended read! 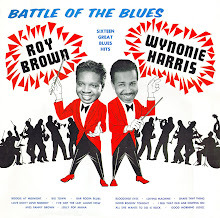 What a sad week for fans of R&B with two of the all time greats gone. 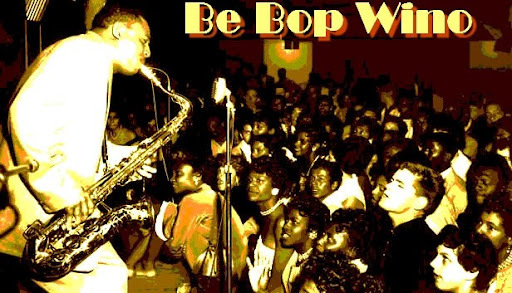 There have been plenty of tributes and appreciations elsewhere so Be Bop Wino marks the passing of Johnny Otis and Etta James with a couple of streamed audio playlists. 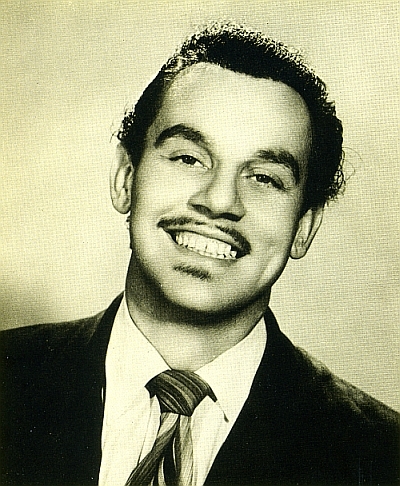 The Johnny Otis tracks date from his big band days of the mid 1940s﻿ (with his first hit "Harlem Nocturne" plus the raunchy "My Baby's Business" with Jimmy Rushing) to the jump and boogie of his smaller groups of the late 1940s and early 1950s (with great contributions from the likes of Big Jay McNeely and Pete "Guitar" Lewis). 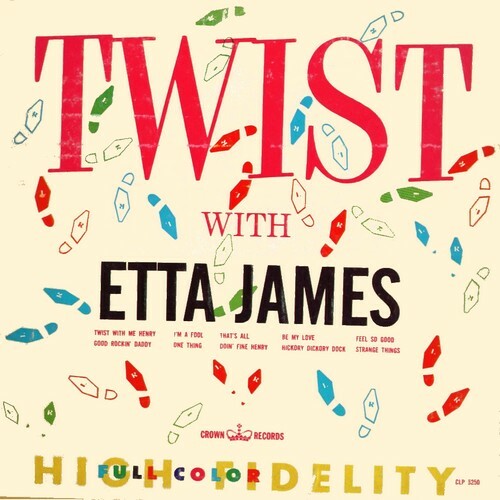 The tributes to Etta James have tended to concentrate on her great soul sides for Chess such as "I'd Rather Go Blind" but my little playlist is made up of some of her 1950s sides for the Bihari Brothers' Modern label, starting with her first ever release - "Roll With Me Henry" - an answer record to The Midnighters' "Work With Me Annie." 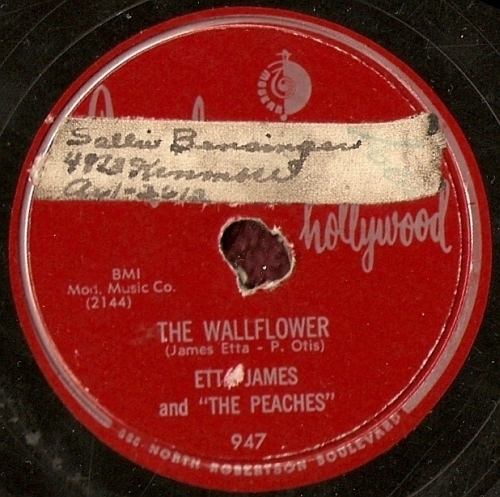 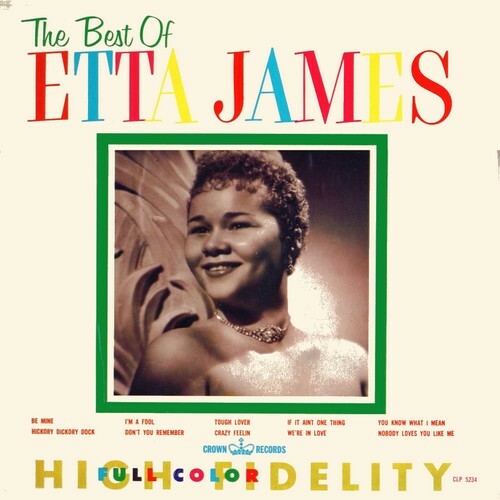 Recorded towards the end of 1954 (and subsequently renamed "The Wallflower") it was a big hit for the young Etta James who had been introduced to the Biharis by Johnny Otis. 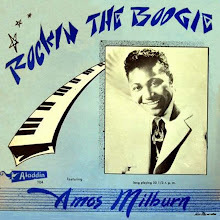 The list also includes "The Pick-Up" which is one of my all time favourite R&B records. Thanks to Joan for the two Crown LP covers shown below. 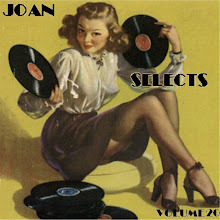 The Joan Selects series is BACK! 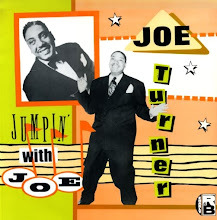 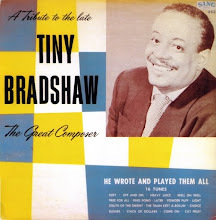 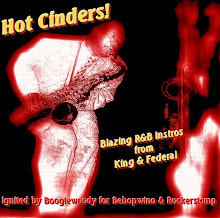 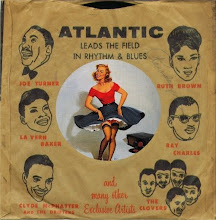 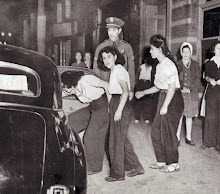 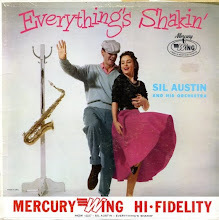 We launch into the New Year 2012 with a brand new volume of great obscure doo-wop harmonies. 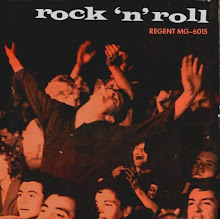 In this first volume we find several familiar groups and lots of really non-mainstream cuts. 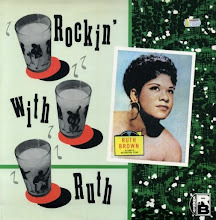 The Flamingos open Volume One with "Get With It" recorded in November 1954. 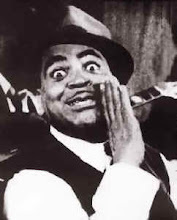 Members of the Flamingos were: Nate Nelson (lead), Johnny Carter (first tenor and falsetto), Zeke Carey (second tenor), Paul Wilson (baritone), and Jake Carey (bass). 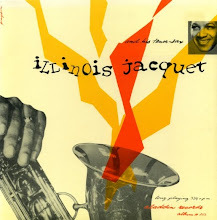 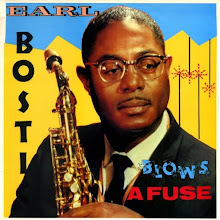 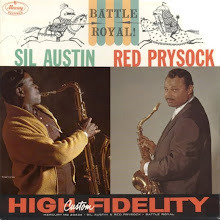 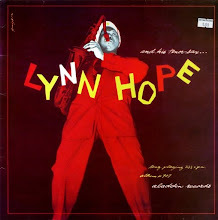 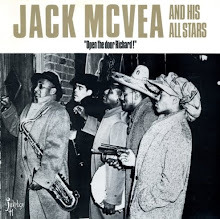 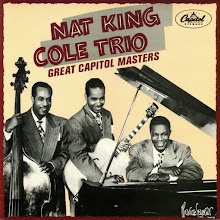 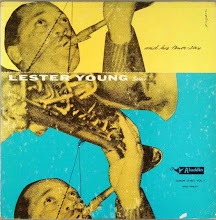 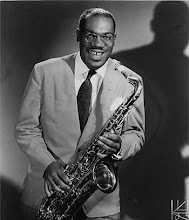 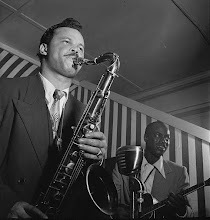 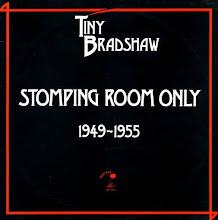 As on their later Chance sessions, the group was backed a combo led by bass player Al Smith and a four-horn front line Sonny Cohn, trumpet; Harlan “Booby” Floyd, trombone; Red Holloway, tenor saxophone; and Mac Easton, baritone sax. 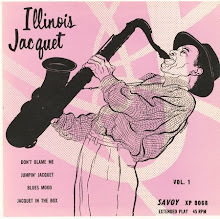 Shortly after this second Parrot session the Flamingos departed for Chicago's Checker Records. 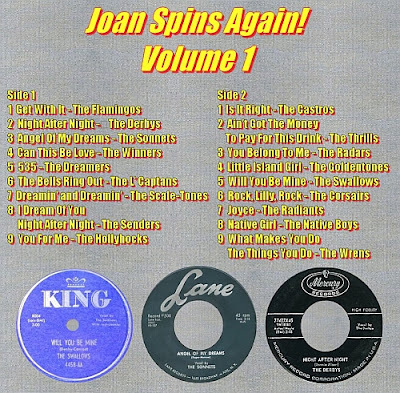 There is a mix of up tempo and slow ballads in this first volume of Joan Spins Again. 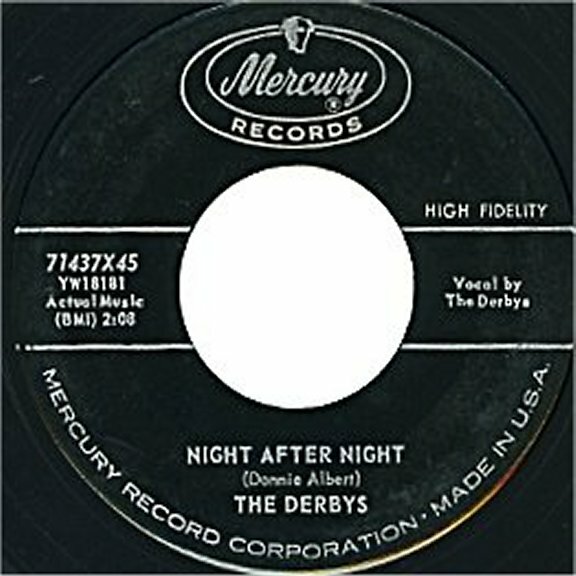 The Derbys recorded "Night After Night" for major label Mercury Records. 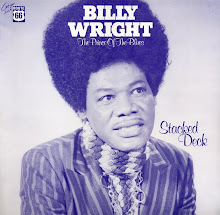 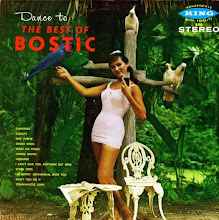 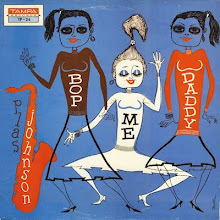 The Winners were a late doo wop addition to the Bihari Brothers repertory of artists signed to their Modern, Flair, RPM and Crown marquees, this recording being issued on their Kent label. 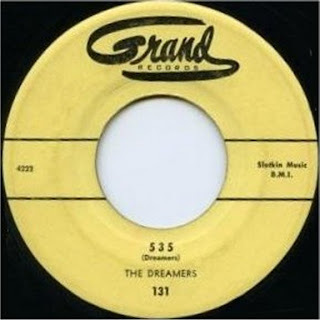 Also an up-tempo high-light in this volume is "535" by the Dreamers on Philadelphia's Grand Records; this one is evocative of the unreleased masterpiece by Clyde McPhatter and the Drifters in their great up-tempo "333". 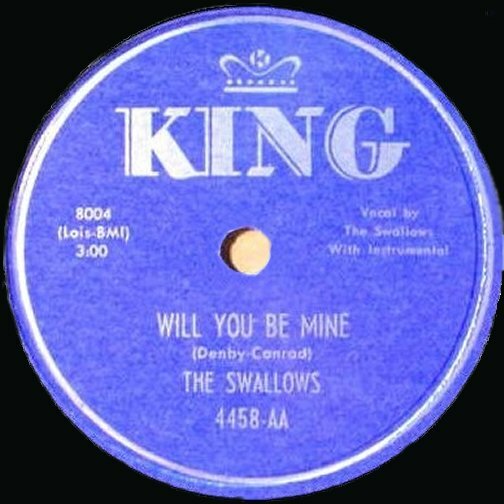 The Hollyhocks were one of the first doo wop groups to issue a 45 for the Nasco Label, and sounded to some degree like label predecessors, the Marigolds, with their calypso tempoed "You For Me". 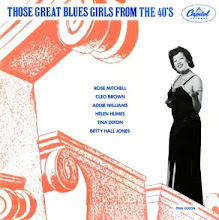 The rarest recording in this first volume is The Thrills - "Ain't Got The Money To Pay For This Drink" recorded and issued on JAB 103 in June 1956. 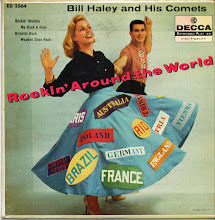 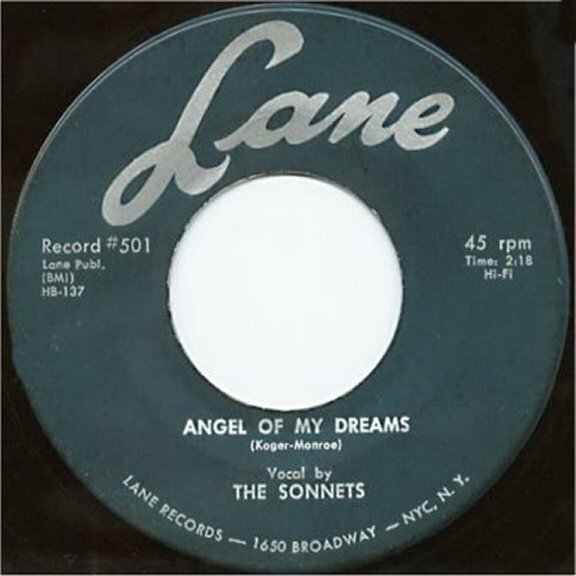 The Radars and the Swallows represent harmonies from the very early 1950s, actually 1951. Junior Denby was lead vocalist for the Swallows: "Will You Be Mine" recorded on King 4458. The Native Boys issued "Native Girl" for Los Angeles based Modern Records in mid 1954. 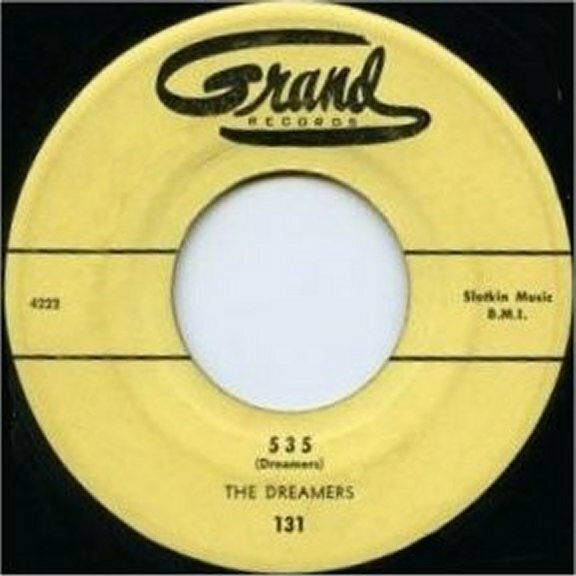 Soon thereafter, on the Combo label the Native Boys recorded "Strange Love", "Oh Let Me Dream" and "Laughing Love" during 1955. 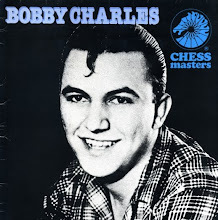 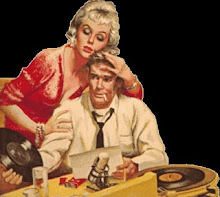 Volume One closes with New York’s fantastic Wrens from December 1955 on Rama 184, featuring the lead vocals of Bobby Mansfield, in "What Makes You Do The Things You Do". 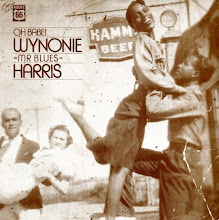 Hope y'all dig this selection. 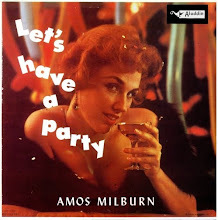 I certainly do - it's been blasting out on my PC media player for a couple of days now. 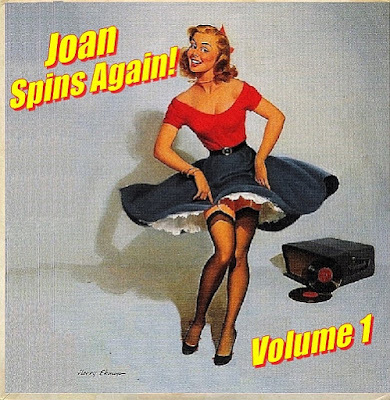 Thank you Joan!